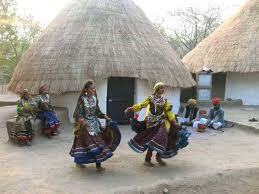 Shilpgram Crafts Fair is Celebrated in Month of November -December in Udaipur Rajasthan,India. 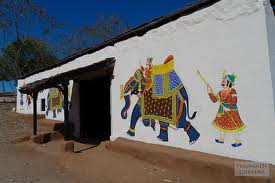 The art and craft village of Udaipur, Shilpgram conducts an annual fair for 10 days, usually conducted in the month of November/ December, to promote the crafts of Rajasthan. Shilpgram crafts mela is the perfect place that encourages urban potters, designers and visual artists by giving them the opportunity to interact and learn from each other to improve their skills. 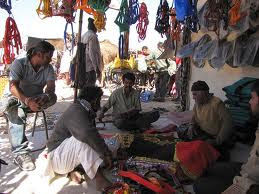 The artists and craftsmen from all over the country come down to this village to display and sell their products. In the Shilpgram fair, a program is organized by the name of Shilpdarshan. 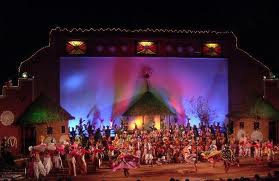 This program is arranged to reveal the skills of traditional performing artists and sell their goods. While strolling in the fair, you will also come across the Craft Bazaar where numerous works are displayed for sale. 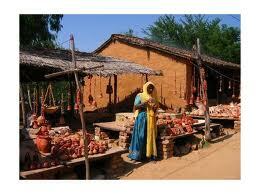 Here, you can get the best deals of Rajasthani handicrafts. You can also buy things for your relatives and friends as souvenirs. 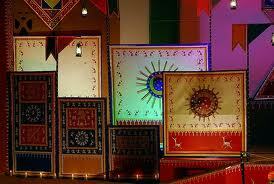 The fair was conceived in the mind with an idea to encourage the cottage industry of Rajasthan. 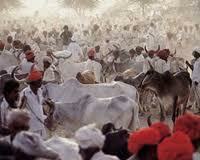 Being a desert land, Rajasthan is deprived of grown agriculture and tourism has been the main source of its income. 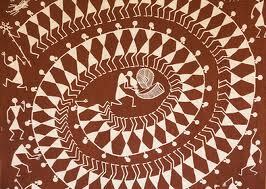 Keeping this money-making part aside, Rajasthan Government wants to make this rustic art famous on a global level. Through this fair, the local artists get a stage to show their creations not just in front of domestic but the international tourists as well. Winter season is considered as the best time to visit Udaipur and this fair is arranged with the due regard to that point. This fair continues for ten days in the months of November / December. During this season, Udaipur receives maximum number of tourists and people enjoy this fair to its most exploring the craft of Rajasthan. In this integrated pattern are 5 huts from Rajasthan, representing weaver's community from Marwar. There are 2 huts named after the two sand bound villages of Rama and Sam from the desert region of western Rajasthan. 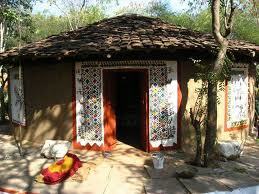 From the hilly region of Mewar, is a potter's hut from the village Dhol, 70 kms west of Udaipur. Two huts represent the tribal farmer communities of the Bhil and the Sehariyas of the Southern regions of Rajasthan. 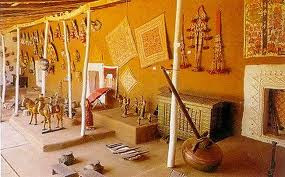 The crafts fair aim is to propagate the importance of rural arts and crafts especially among the younger generation. Workshops are conducted on theater, music, arts and crafts to enhance the interest. The fair acts as a place where the rural and urban artists can exchange their views. The mela also helps in promoting the urban potters, visual artists and designers. 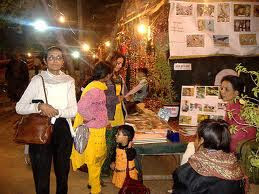 A craft bazaar is put up where the various works are put up on display and for sale. This helps in opening up an economic side for the artists. 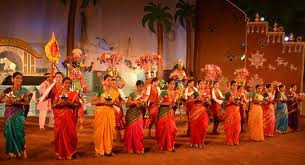 A program called Shilpdarshan is an integral part of this Shilpgram Crafts Mela. According to this activity, traditional performing artists are invited to demonstrate their skills and sell their products. 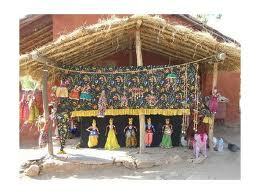 In this crafts fair, Rajasthan is represented by the Weaver's community of Marwar by 5 huts. 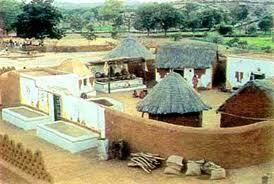 Two sand bound villages of Rama and Sham are represented by 2 huts. 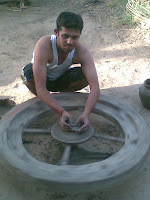 Mewar's potter community from the village named Dhol is present. 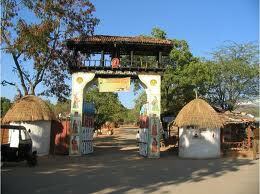 The tribal communities of Bhil and the Sehariyas are represented by 2 huts. with regular flight connection to Jaipur, Jodhpur, Mumbai and Delhi. Taxis are available at airport for transportation to the city centre. Udaipur is on NH 8 and linked to Jaipur and Mumbai (via Ahmedabad). Ajmer and Chittorgarh.Auto rickshaws and taxis are available for local sightseeing and excursions. Udaipur has connection with Delhi, Jaipur, Ahmedabad as well as Mumbai.